The 50th anniversary of the assassination of John F. Kennedy brings many thoughtful pieces on how the United States has changed since that horrible day, such as fellow America contributor Francis X. Clooney’s “JFK and Me.” I’m struck by how political discourse has changed since the early 1960s, and mostly for the better. Every generation has its complaints about politics being nastier than ever, but human nature hasn’t changed very much. What’s different today is that it’s more acceptable to mock figures of authority and less acceptable to ridicule powerless groups in society. To many of us, comic depictions of the president of the United States as a buffoon or a liar (whether George W. Bush or Barack Obama) are less offensive than an earlier era’s condescending attitudes toward women, gays and lesbian, African-Americans, and other groups trying to participate in public debate. There’s no humor in any of this, respectful or otherwise. It’s just raw hate, and when I read about American politics before the Civil Rights Act, I can’t get as worked up about Rush Limbaugh’s sarcasm or some of the puns on the signs of Tea Party protestors. If crude humor is a pressure valve that allows people to work out their frustrations without violence, I can live with it even when I don’t like it. And I’m grateful that we now have plenty of outlets like The Daily Show to eviscerate the people behind things like that TREASON flier. Mabley haltingly begins an anecdote about her travels through the American South. Her memory seems to be failing—in 1969, she was somewhere around 72 years old—so Griffin gallantly helps out. “What’s that man got that horse in pictures … that Western man?” Mabley asks. Imagine parents watching this with their kids and having to explain that joke. It ruined the decorum and good taste of Griffin’s talk show, if for only a moment, and democracy was better for it. 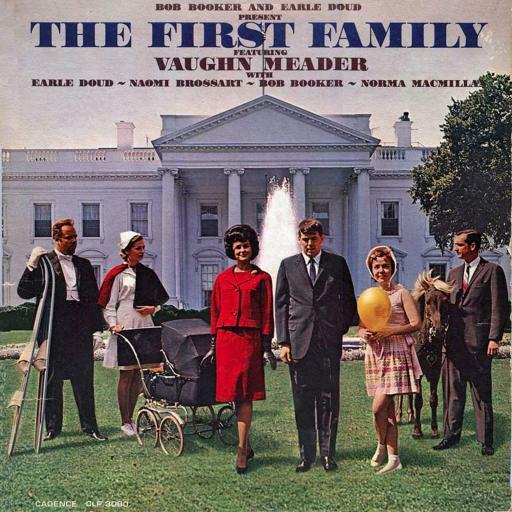 Picture of Vaughn Meader comedy album courtesy The Magpie.